Looking to add curb appeal, elegance, and luxury to your home? Iron Doors Arizona is here to help make that happen. 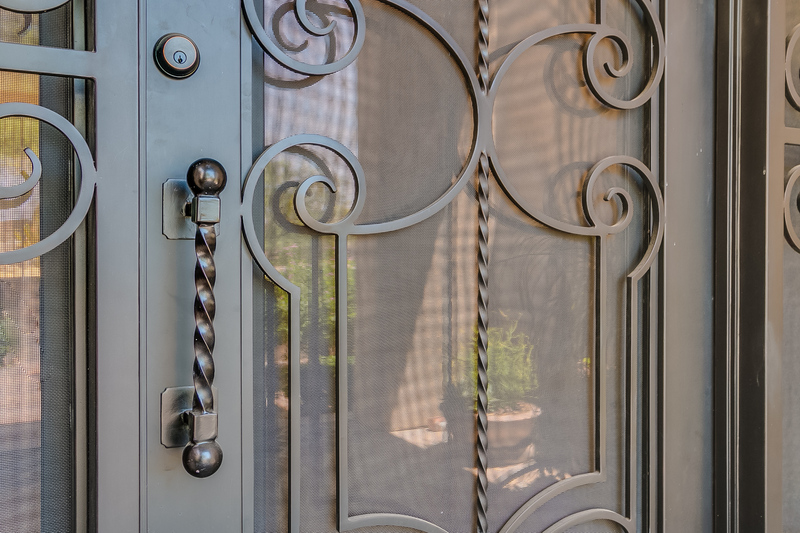 Our single wrought iron doors are fully customizable to fit almost any entryway of your home or business. Our gorgeous iron doors are made from the highest quality materials and available in a wide range of styles. Not only do our iron doors look good, but they also add a layer of protection to your home ensuring your family is safe. Come visit our showroom located in Phoenix and see the doors for yourself. Style and security are within reach with the help of a single iron door. 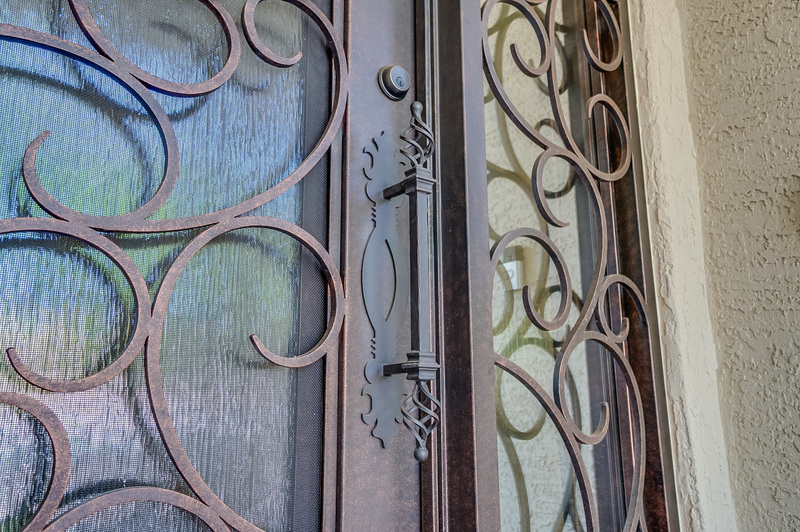 Our gorgeous wrought iron designs are built to last while enhancing your entryways with beautiful artwork made from real metals. The elegant look of single iron doors offer additional benefits other than the aesthetically pleasing type. Read on to learn about the other advantages these doors lend to your home. Single iron doors can be customized to fit any entryway. We can help you find the perfect fit and style for your home while taking advantage of the durable materials used to produce them. Our doors are built to last many years with minimal maintenance so you can enjoy their beauty day in and day out. The most significant benefits of single iron doors include their charming aesthetic and their unrivaled security features. The intricate details are woven across the front of the door protect your home from unwanted entry. In addition, the lock mechanism is firmly seated in the frame which cannot be chipped away at like a wooden door can be. These doors are built to be rust-free, and won’t wear down the way a hardwood door will over the years. Unlike other doors that require sealing and painting every few years, our single iron doors require only mild cleaning to look magnificent. If you’re tired of replacing bland wood doors, it’s time to consider iron entry doors. These doors can be fully customized with the help of our expert design team to fit your home and personal tastes. 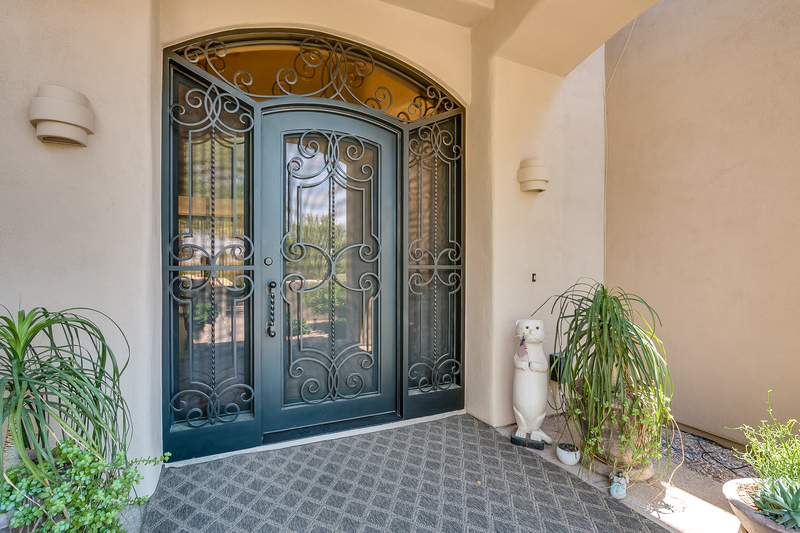 When you upgrade to single iron doors in Arizona, you’ll know that you are getting the highest quality and most durable doors around. You will love the peace of mind that comes with upgrading your security. For more information visit our site to see the whole catalog, or contact us to speak to our custom design team about building your brand new door. Don’t forget to ask about our financing options.